The choice continues to be easy, with the Ebonite Choice Pearl bowling ball. Ebonite took the proven Centrex Symmetrical Mass Bias core and adjusted the shape to lower the differential and introduce the Mod-1 Core. This core creates easy length through the front of the lane and allows for great continuation down lane. 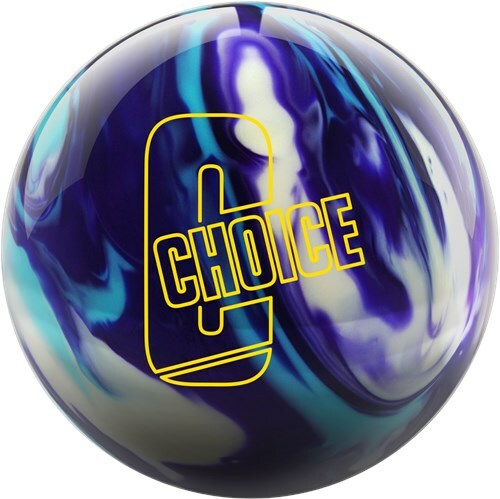 The Choice Pearl combines this core with the GSV-1 Pearl coverstock which is a decendent of the coverstocks used in the successful Game Breaker series of bowling balls. This high performance bowling ball is a great choice when you need a ball that will provide easy length on heavy oil. This ball flips hard when it sees friction and provides awesome pin action. It is time to make a #CHOICE! Good thing Ebonite has made it easy with the new #ChoicePearl! Join Lane Side Reviews as they take this newest piece to the lanes! This is probably one of my favorite pearl bowling balls Ebonite has released since the Pivot Point. It has a very strong backend reaction and tons of hitting power. This has been my go to ball in league as it does not seem to be affected by the larger volumes of oil in the middle of the lane. I can start a bit right with this ball and easily follow the transition left. If you were a fan of the choice then this will be another great ball selection.